We just completed our first day of the Arts in Service summer program, introducing fifteen superstars to the beginning of eight weeks in creative arts, community service, multimedia production, and skateboarding! 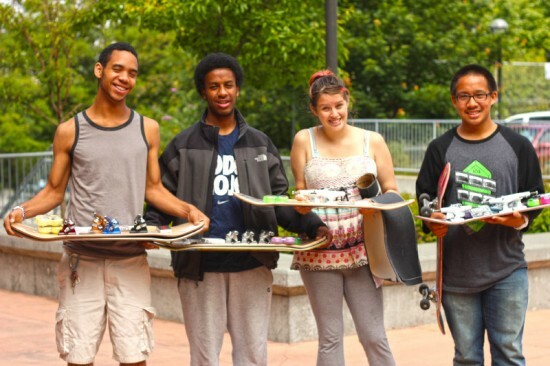 Many thanks to Zumiez, Snowboard Connection, Evo, and Mervin for being major supporters and supplying our youth with the right gear to start off the summer right! Glass art making, video producing, skateboard grinding, community refreshing, and job site visiting… Just a few of the awesome things that we have lined up for this summer. Mark your calendars for our culminating event at the Piranha on September 6th, from 6-9pm!